Just north of the proper Palm Springs strip dotted with restaurants, bars, and ample shopping, sits Toucan’s Tiki Lounge, a beacon of entertainment in the desert. Toucan’s Tiki Lounge is on a mission to give you the time of your life. It starts with their drinks which come cheap and strong, and are even half price on Tuesday and Thursday nights. But unlike your average tiki bar, the good times only just start once your drink is in hand. There’s entertainment every night at Toucan’s Tiki Lounge, a different drag revue or dance show for each day of the week. Fans of RuPaul’s Drag Race will undoubtedly recognize some of the names on the rolling roster of performers, with famed acts like Morgan McMichaels, Delta Work, and a RuPaul viewing party every Friday at 8. There’s something about the shows that feel timeless, like you could walk into the bar in 1992 and instead of seeing a killer routine to Beyonce, you’d get an all-out Paula Abdul dance number. 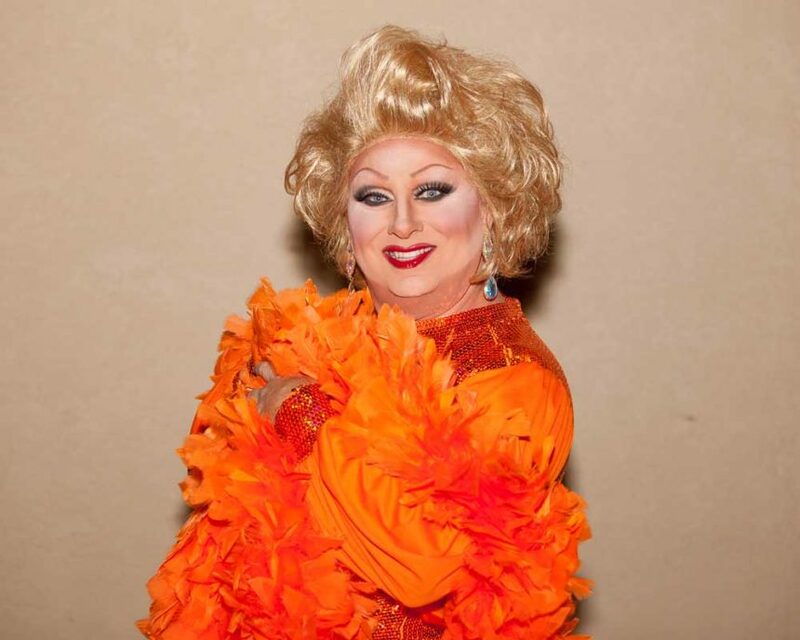 The best night to go is Sundays for “The Valley’s Original and Longest Running Drag Revue.” Sometimes that show is hosted by the legendary Tommi Rose (who has been hosting her show for over 14 years), and on other weekends you can enjoy Mayday with Mayhem Miller. No matter the host, the show is generally full of sassy quips from your well-dressed, beautifully made-up hostess, and lip-synced performances to the likes of Madonna, Janet Jackson, and Jennifer Lopez, to careful choreography and up-close-and-personal interactions with guests. The crowd is generally packed and ready for the non-stop spectacle, dollar bills in hand to give out to their favorite acts. Check out the calendar at Toucan’s Tiki Lounge to plan your first or next visit.